The lights are being switched on tonight in Cardiff city centre – which means it’s officially the start of Christmas in our lovely city. 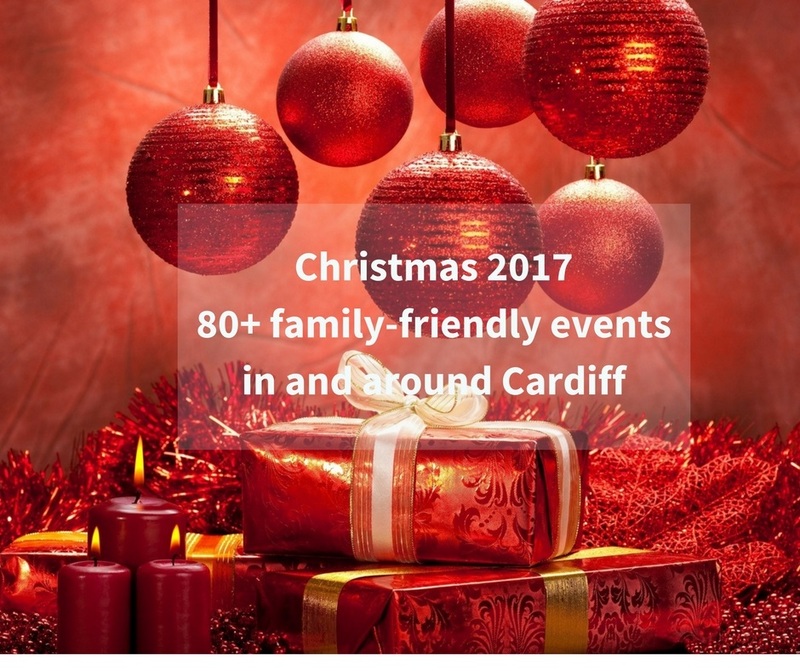 As usual, there is plenty going on in and around Cardiff over the festive period, from meeting Santa and outdoor ice skating to festive singalong a nd panto. Here’s everything I could find. All events are subject to cancellation and change so do please check ahead to avoid disappointment. I would love it if you could like and share this post on social media to let all the other parents know all the fantastic events happening this festive season. It also helps me so much when you do. 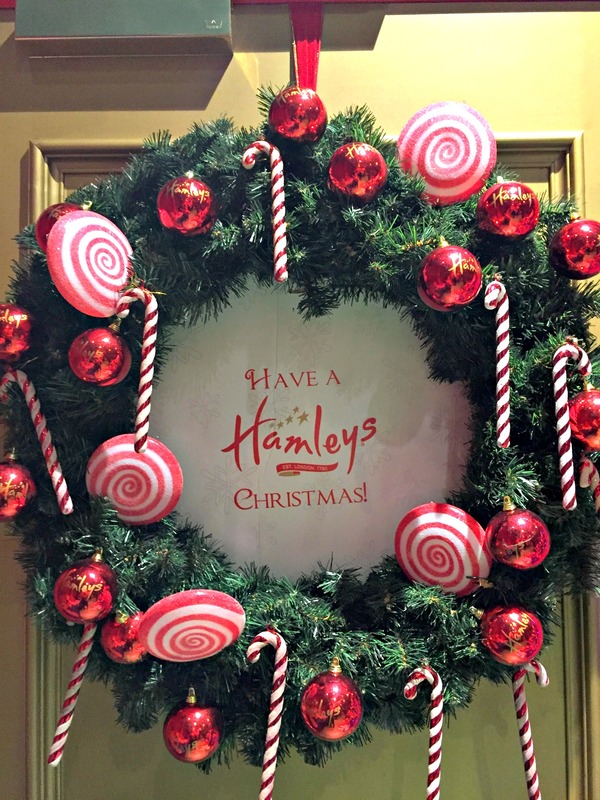 This events guide is kindly sponsored Hamleys Cardiff, where the Finest Toy Shop in the World is gearing up for a fun and magical Christmas. Not only do they have all the favourite toys at their store on the ground floor of St David’s Shopping Centre in Cardiff – but they have festive events too. 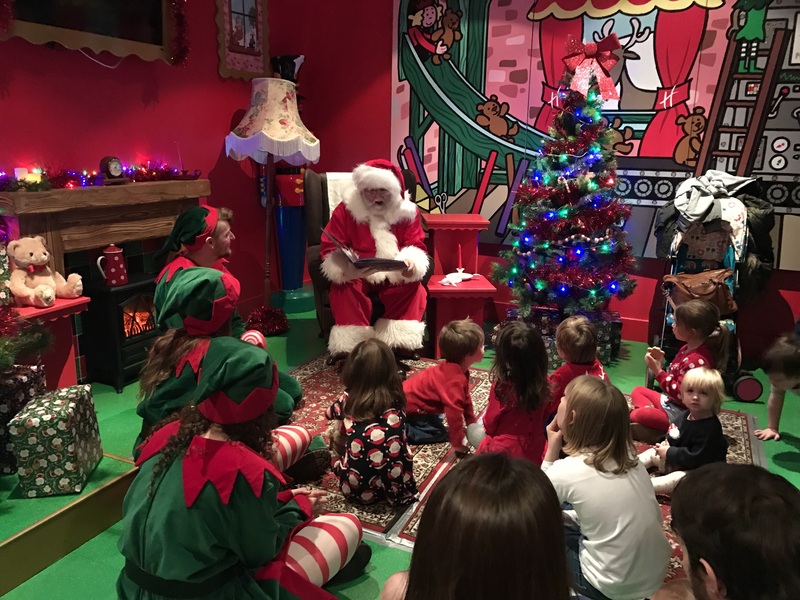 Families can meet Father Christmas on selected dates between 25th November and 24th December, as the man in red and his elves take over the party room. Children will get up to 45 minutes with Father Christmas as well as receiving an extra special gift bag to take home. Guests in these group sessions will hear magical stories of Christmas, write their own Christmas wish list and have the opportunity to pose for photos with the man in red, all while surrounded by the finest toys in the world. See the website for further details. Plus on Saturday 9th and Sunday 10th December you can meet and adopt your own Elf on the Shelf between 11am and 5pm. Celebrate the festive season and the start of your very own Christmas tradition by enjoying a fun-filled day of storytelling selfies, arts and crafts and all things elf-tastic. 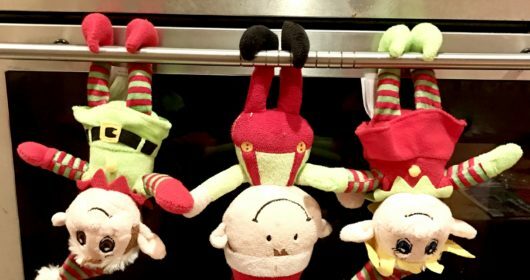 You can meet an Elf on the Shelf character plus the first 200 customers will receive some Elf goodies. A one-mile festive fun run hoping to raise £10,000 for Cancer Research Wales. As well as the run, the night features family entertainment, including an outdoor cinema, a visit from Santa and his reindeer sleigh, plus a chance to pet the reindeer. Register by 1st December. The run starts at 7pm. Dress up as Santa, an elf, a snowman or even a turkey in this family-friendly 5K run (or walk/jog/dash) in aid of Welsh Hearts. £10 registration includes a t-shirt, water and certificate. Or if you don’t want to take part, go along and show your support – last year saw more than 2,437 runners in seasonal fancy dress. A family-friendly charity run in seasonal dress – in aid of Ty Hafan Children’s Hospice and the British Heart Foundation. All adult participants will receive a free Santa Suit to take part in while children are encouraged to wear festive fancy dress. Sign up by 24th November. The official start of Christmas in Cardiff’s city centre sees appearances from Paw Patrol’s Skye and Rubble outside Yr Hen Llyfrgell, Santa on his sleigh, leaving Central Library at 4.30pm, the reindeer in their pen on St Mary’s Street, festive street theatre, Christmas markets, Santa’s Grotto on Queen Street and the opening of Cardiff’s Winter Wonderland and ice rink (see below). The Civic Centre is once again home to Winter Wonderland. 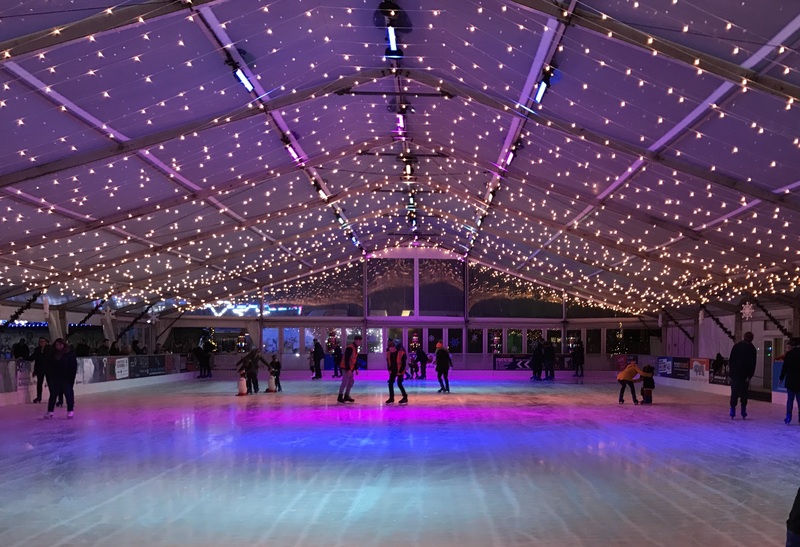 Expect fairground rides and games, festive food and drink – plus, for the first time, the famous ice rink once again has a clear-span roof, meaning the weather won’t dampen your skating plans. Winter Wonderland is free to enter. Cost of rides varies. Advance online booking is advisable for skating; from adults £10, children 3-15 £8, family (2+2) £30 (plus booking fee). Read our review of Winter Wonderland from 2016 here. Captain Hook and Peter Pan welcome a host of talented stage acts as Cwmbran switches on its Christmas lights. Children from Nant Celyn Primary School and Street Fit Dance are among the performers plus there will be family games and festive fun. The event also marks the start of late night shopping and the new Santa’s Grotto. The annual lights switch on will see craft stalls, reindeer and a light parade (Sunday 6pm), plus a huge Christmas tree on Whitchurch roundabout. Meet Father Christmas, sing carols and count down to the big lights switch-on. A festive shopping event to celebrate the lights being switched on. Enjoy festive fun and promotions in a range of independent shops. Visit Santa in his grotto (from 4pm) plus a lantern parade, charity and food stalls, entertainment, and live music plus the lights will be switched on. Cowbridge’s annual reindeer parade begins at 12, with the lights switch on and fireworks from 5pm and plenty of festive fun in between. Father Christmas, Christmas lights, stalls, entertainment and more as Llanishen celebrates the festive season. Live entertainment, craft and gift stalls, a Christmas tree lights on with carol singing and more. Plus earlier in the day there’s lantern making from 2pm and Santa’s Grotto from 3.30pm. The Memo’s annual Christmas festival offers a day of traditional Christmas festive fun, food, film, Santa’s Grotto and children activities. Entry to the market and parking is free but costs apply to activities. Santa’s Grotto is £6.50 per child. A community Christmas lantern walk from Llwynfedw Gardens to Maes y Coed Community Centre. Meet at the bowling green in Llwynfedw Gardens, walk through the streets singing carols, en route to Maes y Coed Community Centre for their Christmas Light switch on with refreshments, hot dogs and entertainment, including a performance by Capital City Church Band and an exclusive visit from Father Christmas and his Elf. A local community event featuring craft, and food and drink stalls plus seasonal events and activities. Following last year’s award for Wales No 1 Santa Experience this year the theme at Pugh’s is Santa’s Magical Candyland. The 30-minute journey will take you on five different rooms through including meeting Santa and a gift from the toy shop. Tickets are selling fast, with many key dates already sold out, so book quickly to avoid disappointment. Meet Santa at a festive breakfast, lunch or tea. Prices vary. A truly magical and spellbinding adventure where Rudolph saves Christmas just by being himself. The 30-minute journey visits four different rooms including meeting Santa with magical reindeer food to take home and a toy from the top shop. See Santa in his magical Grotto in the Black Tower, one of the oldest and most historic parts of the Castle. Includes a gift. Limited availability. Children will get up to one hour with Santa and his elves and take part in seasonal activities, sing festive songs and listen to stories, enjoy snacks and receive a special gift bag from Father Christmas to take home. Read our review from last year here. Usual entrance fees apply plus £3 per child to see Father Christmas (please note that Father Christmas will be taking Wednesdays and Thursday off). PLUS It’s A Christmas Carol themed festive period at Tredegar House, with traditional crafts, games and activities on offer around the house. You can stir the Christmas pudding in the Great Kitchen, make a pomander and hang your wish on the Christmas tree. Father Christmas will be visiting – but beware as Scrooge might be lurking around the corner! Read our previous review here. As well as meeting Santa, children will watch a video message from Santa’s Chief Elf, decorate gingerbread, write a letter to Santa and post it in his North Pole postbox, as well as meet his reindeer who will be resting up at Celtic Manor ahead of their busiest night of the year. Afternoon tea with Santa is also available, starting at £26 for adults and over 6s, and £8 for 5s and under. Adults £14.75, children 15 and under £12.75, babies under 36 months free (but must be booked). Booking essential. Now in its 30th year, families can travel by steam train from Pant Station to Santa’s Grotto where everyone will received a present from Father Christmas. Did you know that the grass on the pitch is grown an inch longer each December and that the roof is left open so Santa can touch down and restock his sleigh in Cardiff, while his reindeer have a quick graze on the pitch? A festive highlights tour of the stadium, visiting the press suite, dressing rooms, players’ tunnel and pitch. Usual admission prices apply, plus £3 per child to see Father Christmas, including gift. Meet Santa in Castell Coch’s historic Christmas grottoes. You can also make traditional Victorian Christmas decorations, including paper garlands, pomanders or decorate your own bauble. Saturdays and Sundays 2nd & 3rd, 9th & 10th, 16th & 17th December and Friday 22nd & Saturday 23rd December, 10am-4pm. 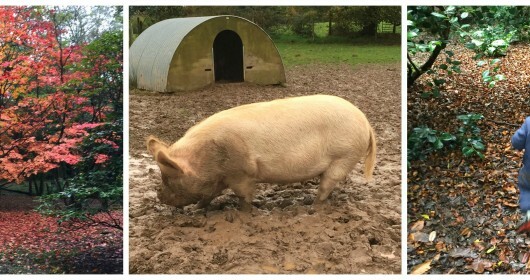 A magical time of year at the farm when everyone’s favourite visitor takes up residence in his cosy farm grotto. Read about our trip to the Royal Mint Experience here. Pre-booking for the grotto is advised. 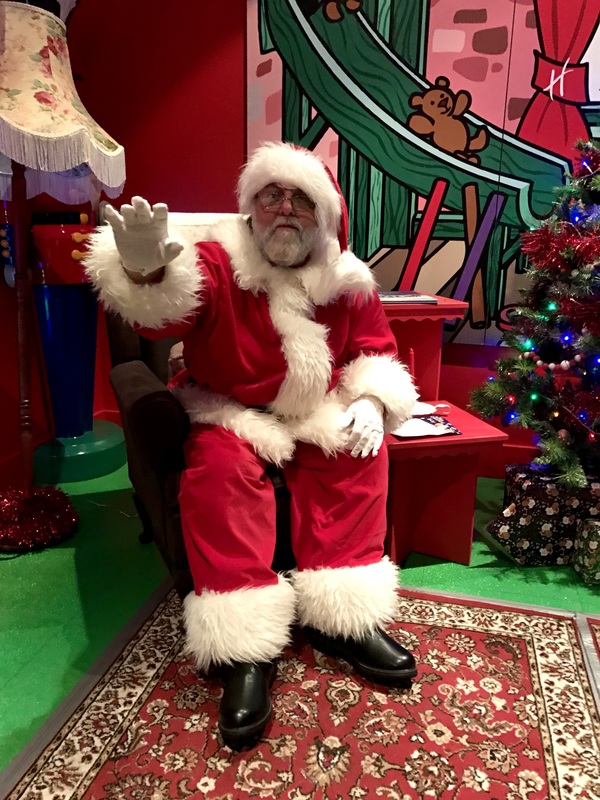 Meet Santa and his elves at the grotto, including a stop-off at Santa’s Post Office where you can discuss wish lists, and stamp and post your letter in the North Pole post box. The grotto is part of the Christmas Festival Market, which sees 30 craft, gift and food stalls, as well as festive films. Journey through the snow covered valleys to Santa’s secret hideaway and tell him your Christmas wishes. Meet Santa in his Grotto. Children will have the chance to write him a letter and will then receive a reply in the post. Plus it’s the Christmas Fair with entertainment throughout the day and gift and food stalls. You can also have breakfast or afternoon tea with the elves and meet Father Christmas. Most dates sold out. 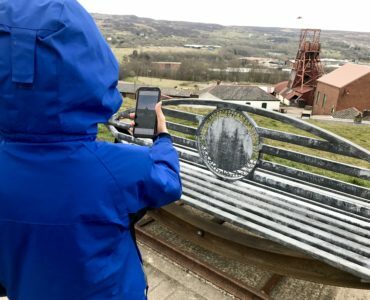 Meet a traditional Father Christmas at Blaenavon Ironworks. £5 per child to include a gift. No booking necessary. Father Christmas arrives at Pit Top at 10.30am, travelling 300ft UP from underground on his way to Lapland. Once he’s arrived (and found his elves! ), there’ll be an opportunity to visit him in his cottage, until 4pm, and tell him what’s on your Christmas list. Music will be provided by Blaenavon Town Band. The youngsters of the Shelley Norton Stage School present this classic tale of young girl Dorothy whose house is swept away in a tornado and ends up in the magical land of Oz. This Christmas join Odyssey, Hijinx’s community theatre group, as they restore hope to Neverland in a sparkling new production written by Llinos Mai. The Second Star to the Right features a vibrant cast of disabled and non-disabled performers from Odyssey, pupils from Woodlands High School and haunting, original music. The Sherman’s annual offering for younger theatre-goers and their families is the classic tale from the Brothers Grimm, with both English and Welsh performances of The Magic Porridge Pot (pictured above). Filled with songs, music and fun, the show tells of Aggie who is given a magical pot which makes tasty porridge. However when her mother tries her hand at it she can’t make the pot stop and the town is filled with porridge. It’s also touring Wales throughout November – full dates here. One of the world’s most famous musicals comes to Cardiff for the festive season. This epic love story tells the tragic tale of young bar girl Kim, orphaned by war, who falls in love with an American GI called Chris – but their lives are torn apart by the fall of Saigon. Following the success of last year’s The Borrowers, the Sherman turn to another classic tale for their theatre offering for older children. In this adaptation of Kenneth Grahame’s The Wind in the Willows, Mole discovers the Wide World beyond his home. Rat just wants to mess about in boats; and for Toad it’s one fad after another – until he discovers cars and lands himself in bother. Wise old Badger does his best to keep order, and as the friends head out on their adventures of a lifetime, he knows home will always be calling them back. Road’s Housekeeper welcomes you for crating songs and games before a fine Riverbank tea. Places limited; open to people attending a performance or not. Children must be accompanied by an adult. A free 20-minute nativity play running throughout the day, with performances in English and Welsh. No need to book. The Welsh male voice choir with a modern twist return to St David’s Hall for their annual Christmas concert. Expect a sparkly selection box of festive favourites, traditional Welsh hymns and pop classics. 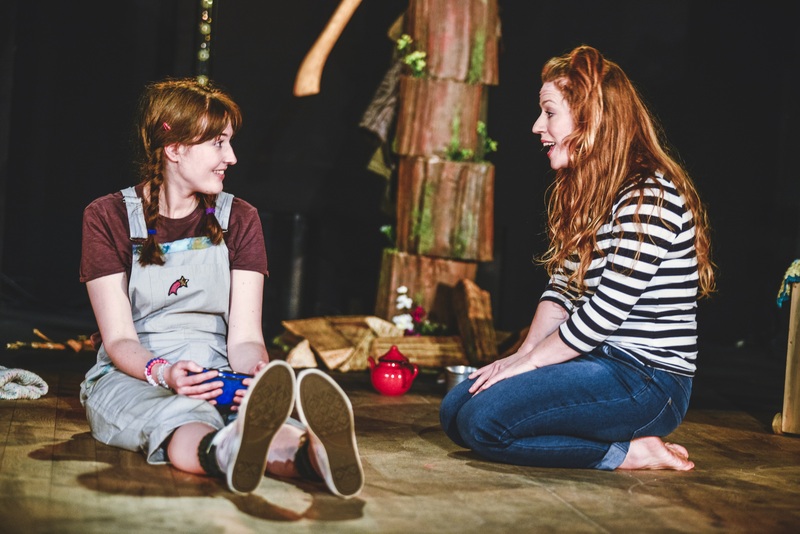 Black Rat Productions bring to the stage the classic Brothers Grimm fairy tale about the little boy and girl with an evil step mother who find a house made of sweets in the middle of the woods. The show features puppetry music and adenture. With an enchanting mix of music, film and illustrations, along with a toe-tapping Christmas overture and the Snowman Waltz, this age-old fairytale about cruel stepsisters and glass sisters is the perfect introduction to the orchestra for all the family. A great introduction to the orchestra for all the family. 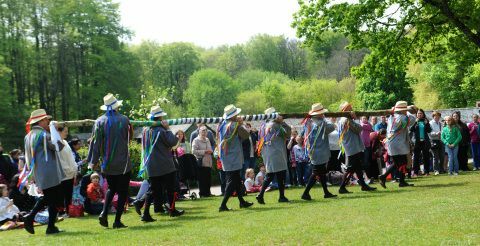 Talented young dancers from Mandy and Shirley Morris Dancers will perform a selection of ballet songs and dances to familiar festive songs. In support of Save The Children. Father Christmas is back – and this time he’s had three helpings of sprouts! As he tries to deliver the presents, his tummy rumbles, gurgles and groans, but Father Christmas knows he must keep it in – he doesn’t want to wake anyone up! This is a humorous musical adaptation of Nicholas Allan’s sequel to Father Christmas Needs A Wee. Where does the fairy on top of the Christmas tree come from? Why do you never see a Christmas elf? And just what happened to Frosty the Snowman? All this and more is answered in this fun filled family musical complete with games, giggles and classic Christmas songs. Santa will be available after the show to meet little ones and give them a present. 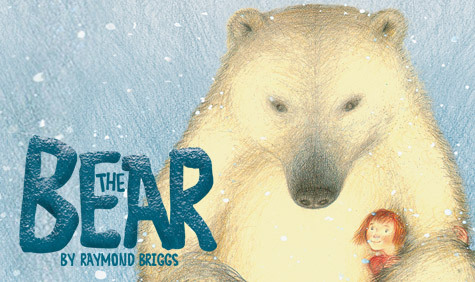 Based on Raymond Briggs’ much-loved storybook, The Bear is a heart-warming and humorous wintry tale featuring puppetry, music, storytelling, and fun. 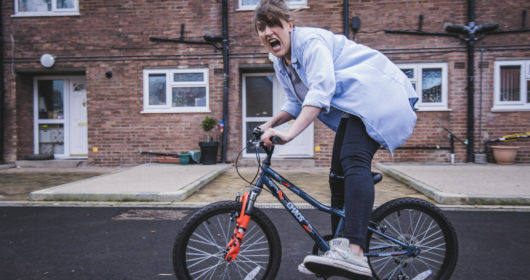 A great introduction to theatre for little people. An hour of performances by the talented children and young people of the Junior Conservatoire’s Advanced Course, aged 8 to 18 years, featuring orchestral and ensemble items with a seasonal touch. This special performance from the Tiddly Prom team brings Bert, Cherry and many of their musical friends back together for fun and frivolity. Thursday 21st December 2pm and 7pm; Friday 22nd and Saturday 23rd December 2pm and 5.30pm; Sunday 24th December 2pm. Wednesday 27th-Friday 29th December 2pm and 7pm; Saturday 30th December 2pm and 5.30pm; Sunday 31st December 2pm. A whole host of colourful characters join him in his story as he struggles to see that good is rewarded and that bad is punished. Owen Money stars in this colourful adaptation of a much-loved classic fairy tale. Expect a fun-packed, joke-crammed, song-filled, fast-moving, laugh-a-minute ride through the magic and mayhem of panto land! Penarth Operatic and Dramatic Society present the tale of Beauty and the Beast as their annual panto offering with a script written by PODs member and local author Darren Edwards. 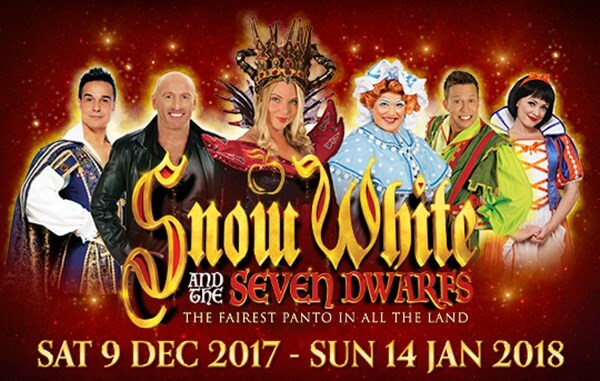 Starring Samantha Womack, Gareth ‘Alfie’ Thomas, Mike Doyle, Chico, Tam Ryan and Stephanie Webber expect an abundance of comedy and music, sensational dance numbers, fabulous costumes and stunning scenery in the New Theatre’s annual family pantomime. BillBoard Ensemble’s annual family friendly traditional pantomime promises hilarious comedy, lavish costumes and set, live orchestra and featuring some of the songs from the hit Disney film Frozen. Starring Tony Maudsley of TV show Benidorm as the Genie of the Ring, Swansea’s definitive dame Kevin Johns as Widow Twankey, and fresh from the final of this year’s Britain’s Got Talent, Matt Edwards as Wishee Washee, Swansea’s annual panto features plenty of laughs, song and dance, impressive special effects and plenty of audience participation. Dance routines, slapstick humour and elaborate costumes galore as the Ugly Sisters attempt to stop Cinderella from getting to the ball. A festive mix of carols, Christmas songs and orchestral music for all the family. The Promise of Christmas celebrates the true meaning of Christmas with Cambrensis Choir and Orchestra, the St David’s Praise Choir and the Promise of Christmas Youth Choir. An evening of Christmas music at this annual family concert in aid of CLIC Sargent Children’s Charity for children with cancer. Enjoy a selection of festive songs with mulled wine and mince pies! BBC Wales’ annual festive concert in aid of BBC Children in Need returns to St David’s Hall; with a selection of popular carols, readings by BBC Wales presenters and a massed choir of primary school pupil from across South Wales. Thursday November 9th to Sunday January 7thAdults £10, children 3-15 £8, family (2+2) £30 (plus booking fee). The famous ice rink once again has a clear-span roof, meaning the weather won’t dampen your skating plans. Advance online booking is advisable for skating; from adults £10, children 3-15 £8, family (2+2) £30 (plus booking fee). Read our review of ice skating at Winter Wonderland from 2016 here. festive skating as the real-ice undercover rink returns to Central Park, Barry. Glide around the sparkling all-weather undercover ice rink. Prices inclusive of skate hire for 45-minute sessions. Thursdays 30th November 7th, 14th, 21st December at 5pm are Let it Snow Family Skate Night; Join Anna and Elsa as they glide around the frozen ice rink to much-loved musical hits. Plus after school family skate offers Monday-Thursday selected dates £4 per person. See website for full details. As their famous advertising jingle goes “Holidays are coming…” Visitors to the Coca-Cola truck will have the chance to project their festive selfies across the side of the truck as it lights up and experience a snowy winter wonderland setting while enjoying their choice of Coca-Cola. Festive glittery fun and plenty of mess. 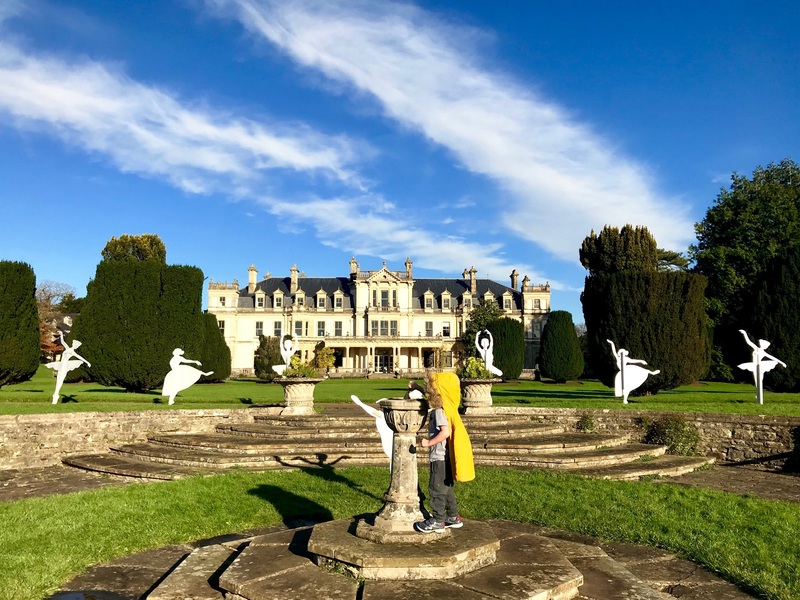 Find French hens, turtle doves, and a partridge in a pear tree as the Twelve Days of Christmas trail with its unique interpretation marks the start of the holiday celebrations at Dyffryn Gardens. Read our review from last year here. Pictured above. There’s A Christmas Carol themed festive period at Tredegar House, with traditional crafts, games and activities on offer around the house. You can stir the Christmas pudding in the Great Kitchen, make a pomander and hang your wish on the Christmas tree. 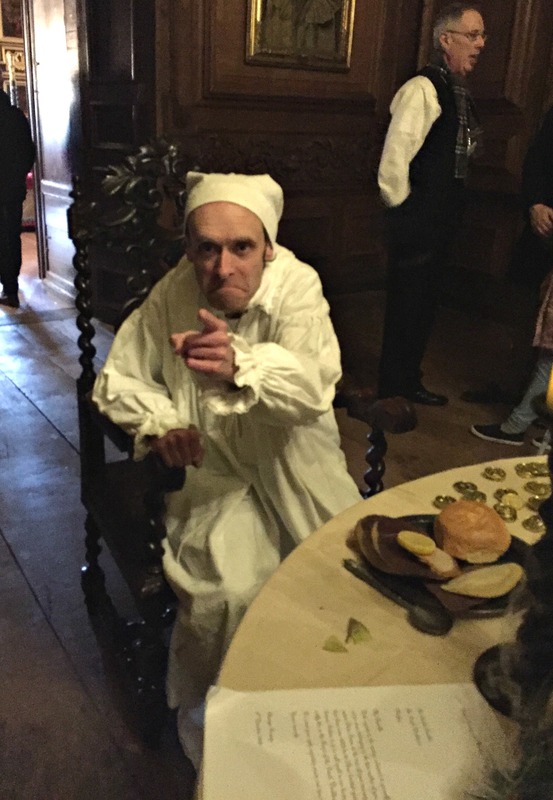 Father Christmas will be visiting – but beware as Scrooge might be lurking around the corner! Read our previous review of Christmas at Tredegar House here. Visit the Elves, write a letter to Santa, post it, and get a response from the big man himself. The magical post office returns to Mermaid Quay – this year in an new location right in the middle of the centre. 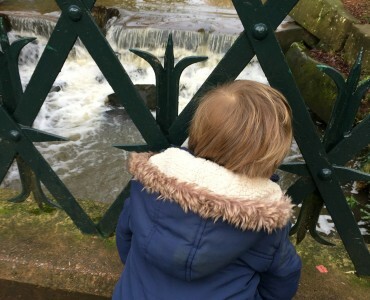 Read our review of Santa’s Post Office from last year. Free craft workshops where children can design and take home their very own el hat with help from some of Santa’s most trusted elves. Chief Elf will also be on duty to give out certificates plus there’s free face painting. You can also meet with an extraordinary elf with his own giant puppet reindeer at 12.30pm 2pm and 3.30pm plus a friendly Christmas Elf on the hour from 12pm-4pm. Activities are free; parking is free for customers of The Red Dragon Centre subject to minimum spend and ticket validation. Read our review of the new Freak Shakes at Grill’n’Shake at The Red Dragon Centre here. Come and watch Santa feeding the famous Margam Park deer herd and then explore the rest of the park. 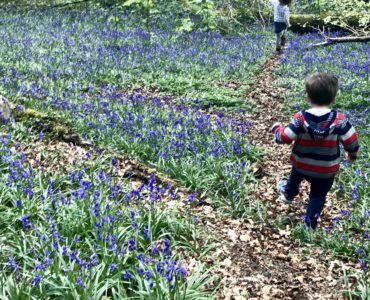 Visit the Children’s village, the adventure playground, the farm trail, stop for a coffee and a mince pie, enjoy a winter walk in the Park. Ticket only event. Enjoy a cooked breakfast, play games and do some colouring with our Elves in the Garden’s Café. Adults get free refills of tea and coffee and every child receives a gift. A chance for younger visitors to meet Mother Christmas and find out what’s been happening in the Christmas household. Has Rudolph been a good reindeer this year? Has Father Christmas finished painting the sleigh? Take a relaxing break from festive preparations this Christmas with yoga and movement inspired from the beautiful story of ‘The Snowman’. Johanna will take your family on a fun filled magical journey whilst improving balance, strength and co-ordination. All levels and abilities welcome. 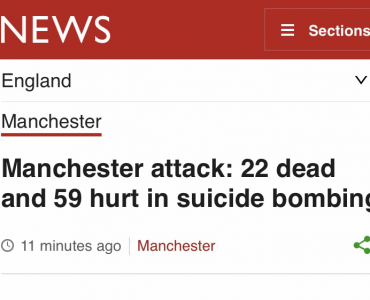 No previous experience of yoga necessary. All children will need to be accompanied by a participating adult. Be inspired by the museum’s Bacon to Doig exhibition to make Christmas cards and decorations. You could make a Christmas decorations inspired by Anthony Gormley’s figures and snowy Christmas card scenes inspired by Peter Doig and his love of painting snow. Drop-in arts and crafts sessions with a festive theme. 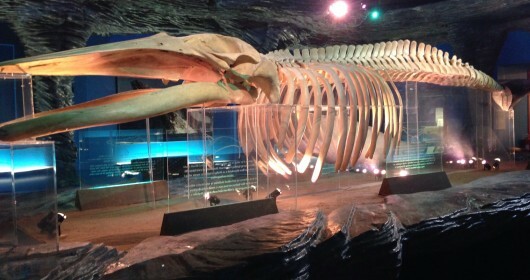 The museum is free to enter, but crafts will cost £1 per child. 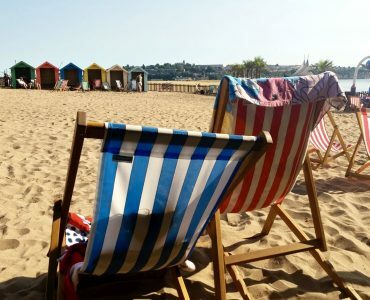 You forgot to mention Snowdogs: tails in Wales Farewell weekend on the 8th,9th,10th December. Newport’s countdown to Christmas will start in the city centre with a spectacular fun-packed family event. 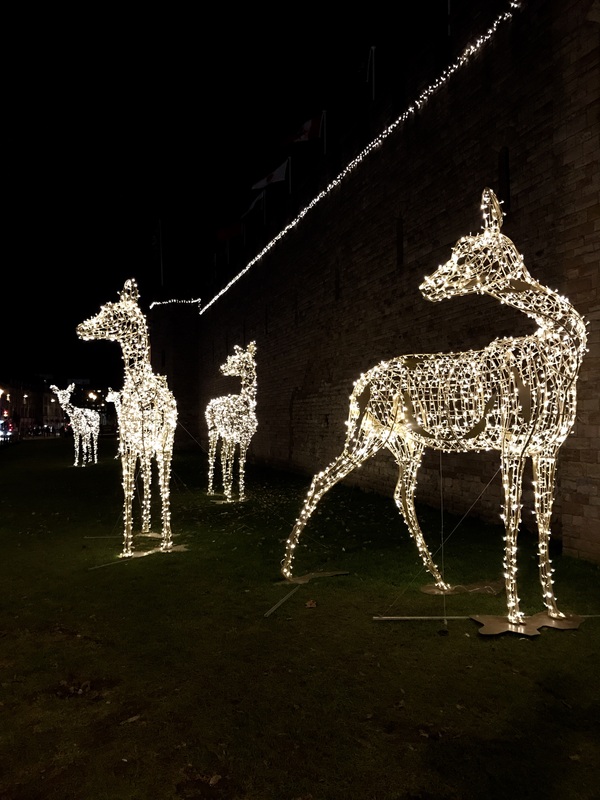 Countdown to Christmas will feature music, fairground rides, celebrity guests and cartoon characters followed by the switching on of Newport’s Christmas lights and an explosive fireworks display. 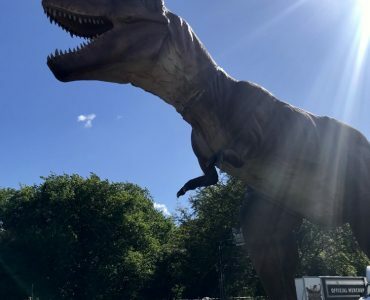 The Voice runners-up Into The Ark will be among the musical acts on stage during the day and a special celebrity guest will be pushing the button to light up the city centre for the festive season.